Any nonprofit who’s been through buying new CRM software can attest to the fact that it can be a long, overwhelming process. With so many choices and features to consider, finding the right software for your organization can feel like searching for a needle in a haystack. But finding software that’s an excellent fit couldn’t be more important. With the wealth of benefits that CRM software affords, you can streamline your operations, better identify and cultivate prospects, and practice more successful fundraising all around. So how do you parse through all of the options to find the software that both fits your needs and your budget? Work with a compatible vendor. Find out the true cost. By knowing what essentials to look out for, your organization will be able to streamline your search and zero in on the perfect software sooner. Let’s get started! Before your nonprofit can really get down to the buying process, you’ll need to do a little internal research or soul-searching. After all, it will be impossible to find software that fully fits your needs if you don’t have a firm grasp on what those needs are. You should consider both your needs (the current problems you’re facing and how the software can alleviate them) and the practical applications (how you engage donors and which efforts you’ll be managing with your software). By doing your research in advance, you’ll be able to enter into the buying process with a greater sense of direction and purpose, and the search won’t seem quite so overwhelming. If you embarked on the search for new nonprofit CRM software, it’s more than likely because your organization is unhappy with your current donor management system and is seeking change. In any case, make sure to keep your reasons for shopping at the forefront of your mind. You don’t want to come away from the buying process having invested hundreds or thousands of dollars only to be left with the same problems you started with. Your software must be able to effectively organize your operations and manage all of the major efforts your organization is running. CRM software is much more than a tool for data management, but only if you have the right feature set on your side! Think about the different ways you engage donors to help you figure out which features you’ll need from a CRM. While your CRM likely won’t be able to manage every effort (efforts like crowdfunding campaigns, advocacy initiatives, and event planning might require more specialized solutions), it is a comprehensive piece of software that can address many aspects of your organization’s day-to-day. Donor management. What information will you be storing? How many donors do you have currently? Will you need to be able to customize donor and other constituent profiles? What kind of calendar and scheduling features must the software include? Online donations. Will you need to be able to build online donation pages and other webforms through your CRM? How much customization will be required? Communications. How do you communicate with donors? What email reporting and automation features should your CRM include? Will you also need social media and/or direct mail features? Now that you have a list of must-haves, it’s time to start matching it up with some potential software solutions and begin your external research. There are plenty of product comparison pages and review forums online, so your organization should be able to get a good idea of which platforms are out there and what they have to offer. As you’re searching, compare each potential software with your list of needs. Does the software you’re looking into fit a majority of your requirements? If yes, make a note to follow up with that vendor! You’re ready to buy if: Your organization has compiled a list of requirements for your new CRM software that outlines both your needs and the software’s practical applications, and you’ve completed your research and have a shortlist of vendors whose products are compatible with your needs. When looking for a new nonprofit CRM, one thing that many organizations don’t realize is that they’re not only shopping for software; they’re also shopping for a vendor. Your vendor will be providing you with multiple services related to your CRM, from the initial setup to any maintenance that needs to be done throughout the CRM’s lifetime. That’s why it’s crucial to work with a vendor who’s just as compatible with your organization as the software is. We’ve compiled a short list of our favorite vendors to help narrow down your search. Salsa Labs offers large nonprofits a suite of fundraising software, their primary product being an incredibly expansive CRM. 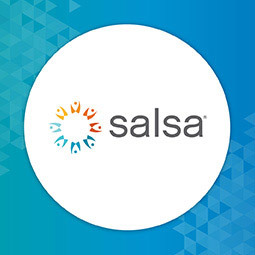 Not only does Salsa’s CRM include robust donor profiles that can be customized with notes, documents, and organization-unique fields, but you’ll also have access to powerful built-in communications, form building tools, grant management features, and much more. If you’re looking for even more features, you can easily build upon your CRM with Salsa’s advocacy and peer-to-peer software expansions. You’ll have a one-stop fundraising shop! DonorPerfect is a flexible nonprofit CRM. Since the software comes in two models, both on-site and cloud-based, it has the potential to be the perfect fit for organizations with many different needs. Along with the fact that DonorPerfect gives nonprofits the power of choice, the best feature of this software is that it can be finely tuned to your organization’s needs. While already stocked with plenty of useful features to address information management, event planning, online donations, and reporting, your nonprofit also has the option to add on a wide range of additional features and integrations if needed. DonorPerfect’s expandable nature makes it a highly scalable solution that can grow with you for years to come! Fundly is mainly known for its excellent crowdfunding platform, but what many nonprofits haven’t realized is that they offer a stellar CRM, too! With Fundly, your organization can manage donor relationships, online giving, campaigns, events, membership programs, and much more, all from a singular piece of software. And if you need more tools, Fundly’s integration-friendly nature and vendor add-ons will enable you to craft a solution that meets your ever-evolving needs. ClearView CRM, created by SofTrek, is the industry leader for multichannel fundraising CRMs. With this comprehensive major giving CRM, any nonprofit can increase its build stronger donor relationships. Through ClearView CRM, you can build comprehensive and flexible donor profiles, manage your event planning and budgeting strategy, create custom data reports, and standardize your donor cultivation process, all while integrating easily with your current software solutions. ClearView CRM is completely customizable, so your team can work with SofTrek to ensure the best possible fit for your organization. Araize, Inc. offers a comprehensive set of cloud-based online nonprofit software which includes accounting, fundraising, and payroll. These can be purchased as a group or on a module-by-module basis. Because Araize software is cloud-based, you can access it anywhere without paying for expensive network or technology upgrades. That means Araize’s advanced systems are always available to your nonprofit staff, regardless of whether they are using a computer or a mobile device. Plus, with its low cost of entry (as low as $17/month! 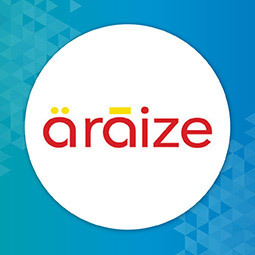 ), Araize is one of the most affordable software options out there — making it the perfect solution for nonprofits of all sizes and experience levels. The first time you’ll be working closely with your vendor is during software setup. This process will consist of transferring all of your current data to the new platform and configuring any customization or integrations that your organization may need. The setup services provided by CRM vendors can vary significantly. While one vendor might send your organization off to go it alone, other vendors will complete the entire setup process without you having to touch any data. If your organization anticipates that data transfer will be an arduous process (and it usually is to some extent), look for a vendor who provides support in this area. Data migration services can come at an additional cost, but it’s well worth it knowing that you’ll be starting out with a database that’s clean, functional, and properly organized. The second half of getting started with your nonprofit CRM will consist of software training. As with setup, the way training is handled will vary by vendor. Custom training. Custom training can be pricey, but it’s also priceless. During custom training, your vendor will conduct live lessons in your CRM either over the computer or at your office. Since these lessons are live, they can be customized to your nonprofit, enabling you to learn how the software works for your particular needs. Generalized training. Many vendors also offer a free training option, wherein they provide you with pre-recorded software training videos. Although these videos can still be helpful, the downside is that you won’t be able to ask questions or focus specifically on the features you’ll be using most. Ultimately, your organization will have to make the call on whether or not it’s worth it to invest in a more comprehensive training option. If you do decide to go the custom training route, make sure your vendor offers excellent training services! High performing CRM software often comes with added fundraising tools to enhance your management software. Choosing a CRM with these features will help you consolidate your fundraising tools and make it easier to analyze data since there will be less hassle transferring information between fewer tools. Online donation forms — Online fundraising is a crucial way for organizations to collect funds, so much so that it’s rare to find a successful nonprofit that doesn’t offer some type online giving. Some CRMs have tools that allow nonprofits to build customized donations forms that easily capture donors’ information. Mobile fundraising platforms. — Whether it’s text-to-give, mobile-optimized donation forms, or a combination of the two, mobile fundraising provides supporters the option to give anywhere, anytime. Your CRM might offer mobile-friendly donation pages or integrate with a text-to-give provider. Peer-to-peer or crowdfunding — Many nonprofits are using the power of social media and existing supporters to launch online fundraising campaigns. Your CRM may have its own peer-to-peer or crowdfunding platform to launch a campaign backed by powerful management tools. Event registration tools — CRMs and event management go hand-in-hand. When these two pieces of fundraising work together, you’ll get a more complete picture of your event attendees and can offer them ways to give with additional fundraising tools like we mentioned above. As you can see, picking a CRM that comes with built-in fundraising tools can help you plan successful fundraising initiatives and keep the data you obtain in a centralized location. If your nonprofit CRM software is ever down for some reason, your nonprofit will have to turn to your vendor to solve the problem. If (or, almost certainly, when) that happens, you’d better hope that you’re working with someone you can count on! When it comes to maintenance services, your vendor should not only be easy to get in touch with and responsive to your needs. It’s great if you can get your vendor on the line at any time of day, but if they drag their feet when it comes to fixing any technical difficulties, then their maintenance services are virtually useless. Make sure that you’re working with a vendor who’s frequently available and who will get your software up and running again in a timely manner. The longer your operations are down, the more fundraising opportunities you’ll miss out on. The final thing you should be focusing on when vetting out vendors is personality! While this consideration might seem secondary, it’s actually really important. Since you’ll be developing a working relationship with your vendor, you want to choose someone who can understand your needs and who you get along with well. Look for a vendor who specializes in nonprofit CRMs (remember: for-profits use a type of CRM as well) and has plenty of experience working with organizations like yours. Aside from that, there’s no objective way to determine whether or not a vendor will be a good fit. It’s all about intuition here; you’ll be able to tell through the buying process whether or not you and your potential vendor are a good match. You’re ready to buy if: You’ve asked your potential vendor of choice about setup, training, and maintenance services, and you think that their personality complements that of your organization. Nonprofit CRMs can be comprehensive pieces of software in and of themselves, but they often require integration with other platforms to fully address organizational needs (CRM software that has been integrated with other tools is called a CRM system!). If your organization requires a more robust feature set in a certain area, you’ll likely need to integrate your nonprofit CRM software with a more specialized platform. While you can certainly get away with using various pieces of software separately, one of the main advantages of CRM software is the centralization it provides, making data management much simpler and giving you a deeper understanding of your constituents. If you anticipate that you’ll need to integrate, make sure you choose a nonprofit CRM that’s integration-friendly. It should be compatible with other platforms that include the tools you need so that the integration process doesn’t eat up too many resources. Here are some common nonprofit CRM software integrations you may need to consider. Organizations often use wealth screening to identify donors with the capacity and willingness to give major contributions as well as pinpoint donors who could give more than they’re currently donating. When your wealth screening tool integrates with your nonprofit CRM software, you’ll have access to all your donor data, which can provide deeper, more accurate insights into your supporters. Our wealth screening and prospect research tools at DonorSearch integrate with several CRM tools such as Salsa Labs, OmegaFi, Donor Perfect, and Salesforce. Matching gifts are a type of corporate philanthropy program that can double your donations if you can effectively promote them to eligible donors. Connect matching gift tools with your CRM to identify your donors’ employers so you can communicate relevant information. 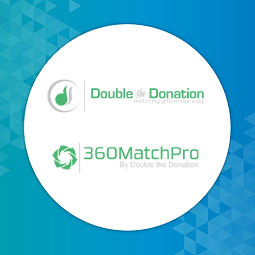 Double the Donation (for small to medium nonprofits) and 360MatchPro (for larger organizations) are two matching gift tools that help market and manage matching gifts. Integrations with the top CRM and online fundraising tools make these two providers our top recommendations for matching gift software. Of course, these are only a few of the many integrations that are available to you. You may need to integrate even more platforms like mobile giving, event management, or a more robust metrics tracking tool—the types of integrations are practically endless! That’s why it’s so important for organizations to find a CRM that is compatible with other platforms, otherwise, you’ll need to find a tool that comes with all the capabilities you need. Luckily there are robust nonprofit tools available that come with several additions to maximize your ROI. If you’re interested in learning more about these fully capable tools (that also work with integrations! ), check out DNL OmniMedia’s list. Remember that the first step to finding the right CRM is by determining what your nonprofit needs and figuring out which integrations are going to be the most important to your organization. You’re ready to buy if: You have a list of all the integrations your organization requires and confirmed with your vendor that the software in question can support them. One of the biggest mistakes that nonprofits make when shopping for new nonprofit CRM software is that they only consider the here and now. But CRM software is a long-term investment. It’s absolutely critical to think about where your organization is heading…and how your software will get you there. Number of constituents. The number of supporter profiles you can fit into your nonprofit CRM is usually factored into the software’s price. Most vendors offer packages that support varying levels of constituents, but how this feature is handled can differ. While some vendors have a pre-set number of constituents built into the cost, others will charge a small fee per profile. Either make sure your organization buys a platform with a little extra space or one that can be expanded upon as your supporter base grows. Features. As your organization evolves, you’ll likely be taking on new efforts and engaging donors in different ways. In order for your software to last you a while, the feature set should be able to be expanded upon, either through bringing in outside tools or by adding on additional features from the same vendor. In either case, make sure you’re able to stock new features! The bottom line is that, if your organization fails to plan ahead, you’ll only have to enter into the buying process again sooner. And you know what that means: more time, money, and hassle. You’re ready to buy if: You’ve thought about where your organization will be in the next 3-5 years and have planned for how you can adjust your software to evolve with you. One of the biggest concerns that nonprofits have when selecting new nonprofit CRM software is, inevitably, cost. Unfortunately, even many organizations who have carefully calculated their software budgets still end up spending more than they bargained for, simply because they aren’t aware of the realities of CRM costs. Nonprofit CRM software often has many hidden factors that can hike up the price. In other words, the cost listed on the vendor’s pricing page often doesn’t reflect what you’ll actually be spending. Payment processing fees. Almost all payment processing services include fees of one type or another. Keep in mind that part of any online contribution you accept will need to be allocated toward these costs (and look for a payment processing service that keeps them low!). Vendor services. Setup, training, and maintenance services (discussed previously) can all come at a cost. If you need any of these services, don’t forget to set aside the money for them. Number of constituents. The more donor profiles you’ll need to house, the more expensive your CRM will be. Make sure you’re buying software that aligns with the size of your organization and your budget. Number of users. Likewise, the number of people using your CRM can influence the price. If you need to pay for additional access, consider this cost. Updates. Keep in mind that you may need to allocate more money to cover CRM updates in the future. It can be difficult to determine how much future needs will cost, but you should have a healthy maintenance budget set aside to ensure your software is in tip-top shape for years to come. Before you sign the contract, ask your vendor to spell out costs. If hidden expenses surprise you down the line, your financial stability could be put in jeopardy. You’re ready to buy if: You’re aware of all costs and are certain that your budget is large enough to cover them! With these tips, we hope that your organization is well on its way to discovering the perfect nonprofit CRM software. Happy shopping! 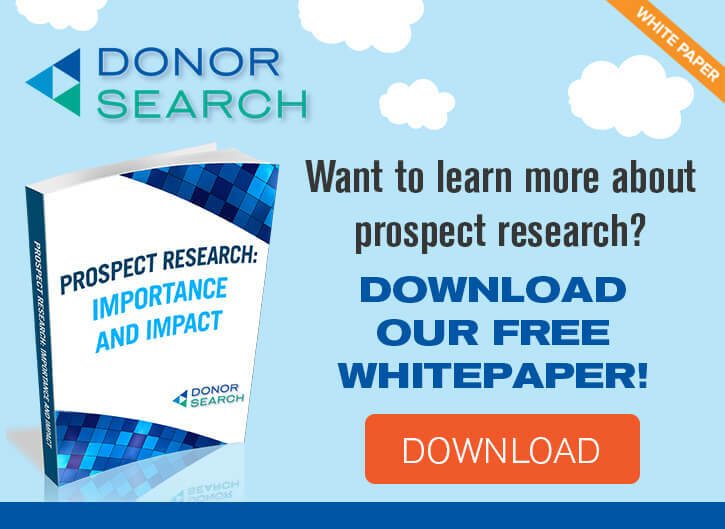 Prospect Research: The Ultimate Guide: With all of the donor data they collect and their ability to compile and analyze donor demographics and behavior, nonprofit CRMs are a crucial component in prospect research. Find out more about this important process with our ultimate guide. Top 10 Fundraising Consulting Firms for Better Fundraising: Nonprofit CRMs are a great first step in improving your organization’s fundraising efforts, but they don’t always cover everything! Check out our list of the best fundraising consulting firms to take your fundraising efforts to new heights. 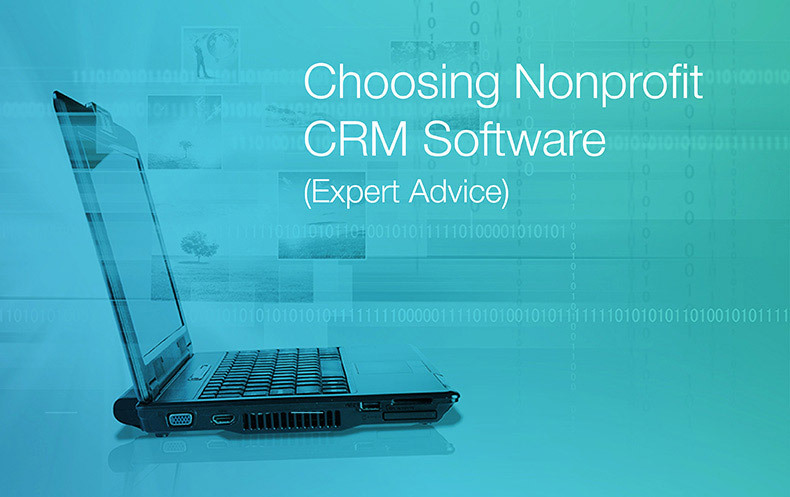 Nonprofit CRM Software: Still have questions about nonprofit CRM software? Read through Double the Donation’s detailed guide on the ins and outs of this essential nonprofit software. Donor Management Software: The Smart Nonprofit’s Guide: Investing in a new donor management software can be a difficult process. To learn more about what your organization needs, read this useful guide from SofTrek, the team behind ClearView CRM.